We have a wide range of styles in our range of church furniture. 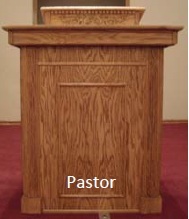 While we can always create a completely custom pulpit for your church, we have five standard styles that usually meet the needs of churches. Knowing which one of these church pulpits is best for you can be a bit tricky when you’re choosing all new church pews, tables, and chairs too. Matching all the items in style, fabrics, and stains is important for your church to look beautiful and collected, instead of mismatched and disjointed. The most slim looking of all the options for church pulpits, the Bishop is well suited for churches who like a more minimalist look. With Colonial white paint, the Bishop has a more formal look to complete the Federalist architecture style features. You can select to use a stain on the Bishop instead of white paint to give it a less formal feel if you like the slim look. With similar Federalist style woodworking as the Bishop, the Chaplain is the most solid looking because of its large stature. 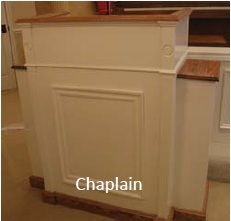 With sides flanked, the Chaplain has a large footprint and is suited for churches with a larger area designated for a pulpit. When finished in Colonial white, this pulpit harkens back to traditional New England churches. An all stained look also looks beautiful in less formal settings and highlights the solid wood grain. 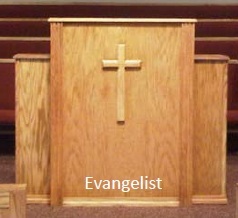 The Evangelist may be our most popular pulpit. 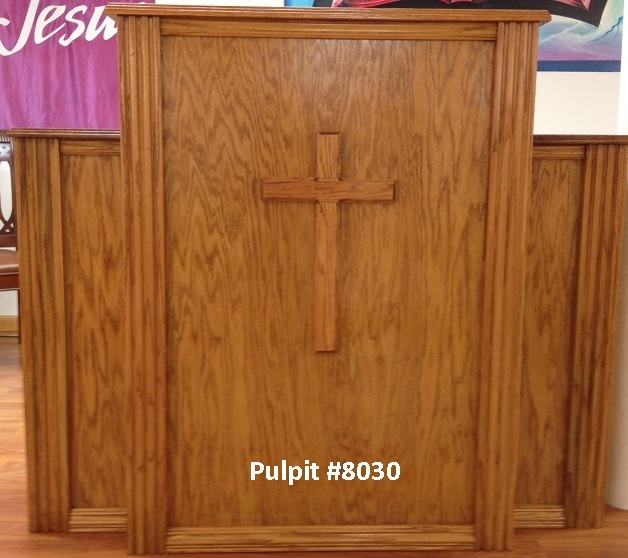 The more informal style of this pulpit suits many modern churches. Similar to the Chaplain in statue and design, the Evangelist forgoes the Federalist touches of the Chaplain for less showy details that won’t detract from the cross. If your church is less formal and many different people often speak in front of the church, the Evangelist might be the best choice for you. 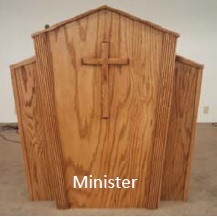 With the most dramatic shape of all our pulpits, the Minister is perfect for churches with a non-traditional feel. Pointing towards the Heavens, the Minister pulpit helps remind your congregation members of their reason for attending church and also gives the most eclectic feel of all our pulpits. Churches that have might select this may range from churches with loud and engaging church leaders who often leave the pulpit to approach the congregation to churches who use non-traditional forms of worship, such as liturgical dancing. Because of its unique shape, it fits unique churches well. Probably the least imposing of all our church pews, the pastor style does a beautiful job of showing off solid wood grain while still using traditional woodworking styles to highlight its shape. 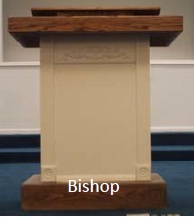 The unique feature about the pastor is the added book holder on the top of the pulpit. If your church uses the Bible and reads directly from it more often than not, this might be the best pulpit for your church. It’s also a great pulpit for churches with small spaces because it can do double duty of being used for Bible readings and for preaching.